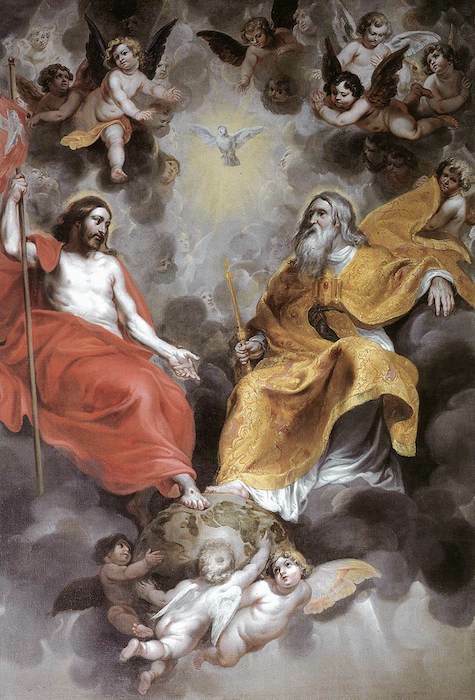 The Holy Trinity is the one true God in three Persons, equal in all things and co-eternal. The Father gives being to the Son, and the Holy Ghost proceeds from the Father and the Son. St. Anselm has endeavored to explain this most impenetrable of mysteries, and proceeding from a single point of view only, he has accomplished this in a masterly yet necessarily insufficient manner. The Father, he says, cannot exist a single instant without knowing Himself, because, in God, to know is to exist, even as to will is to act. This knowledge personified is “the Word,” His Son. The Son is, then, co-eternal with the Father. But the Father and the Son cannot exist a single instant without loving each other; and their mutual love is again personified. This third Person, thus co-eternal with the other two Persons, is the Holy Ghost. In heaven, the inhabitants with God can alone understand these wonders, and they understand because they see them. The free-thinker, surrounded by the mysteries of nature, and who is to himself a great mystery, is unwilling to admit of any in religion. “I only wish to believe,” he says, “what I understand”! He would not believe much, however, were he taken at his word. He could not believe in his own arguments, since he does not comprehend how his mind evokes and gives them shape. Literally speaking, there exist no mysteries; there are only truths. But truth becomes a mystery to him who does not understand it. Writing is a mystery to the illiterate man; it ceases to be mysterious after he receives instruction. According as we educate the soul and widen the measure of knowledge, mysteries begin to disappear in proportion. Therefore is it that there are no mysteries in heaven, because the angels and the blessed behold with open gaze the objects whereof here on earth we possess but the mysterious definition. 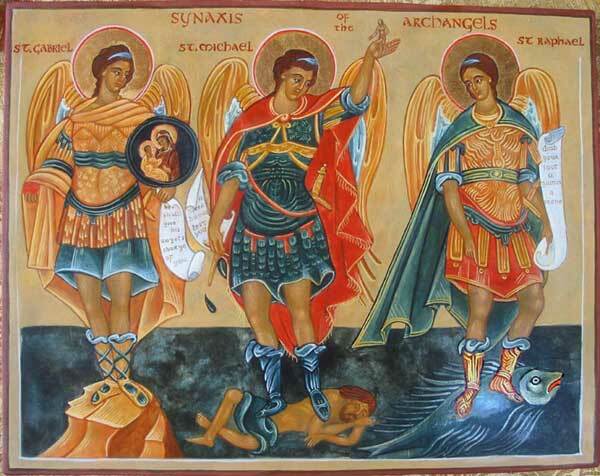 To deserve to behold them one day in their heavenly company, one condition is requisite, namely, to adore them in the interim with steadfast faith in the word of God, which proposes them for our belief. In the realm of nature a mystery is a truth not understood, which nonetheless one believes because one sees it. In the sphere of religion a mystery is a truth not understood, which one believes because God has revealed it.